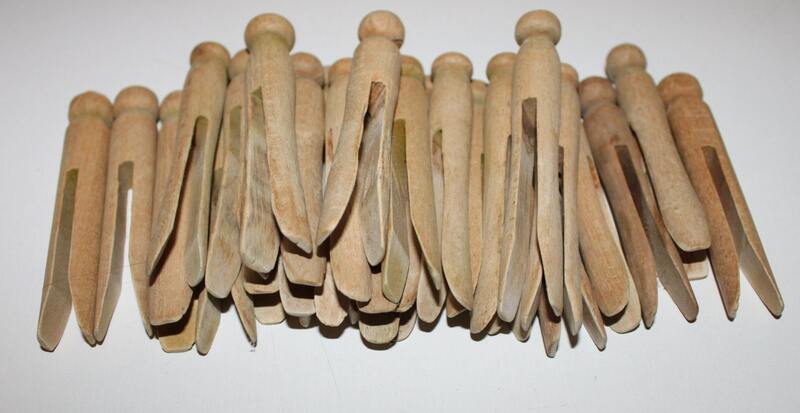 We have for sale 25 Vintage Clothes Pins. Great for craft projects and home décor ideas. 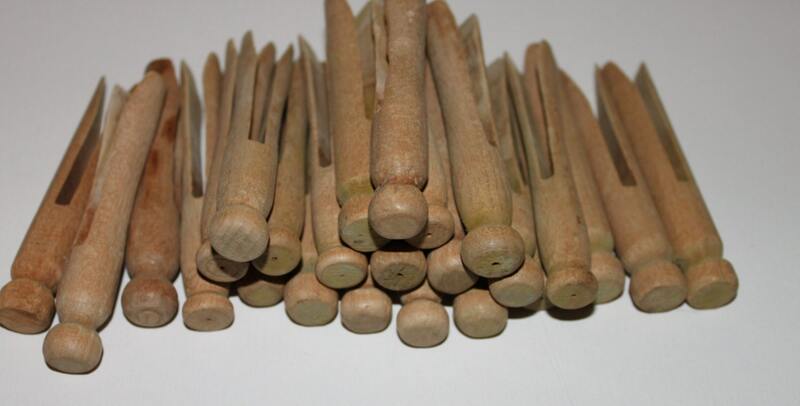 These are original clothes pins just like grandma used, not remakes. Perfect for crafts and home décor projects. Happy with my purchase--arrived quickly and as pictured. Thank you! Very easy to deal with. Ordered and was delivered very quickly. 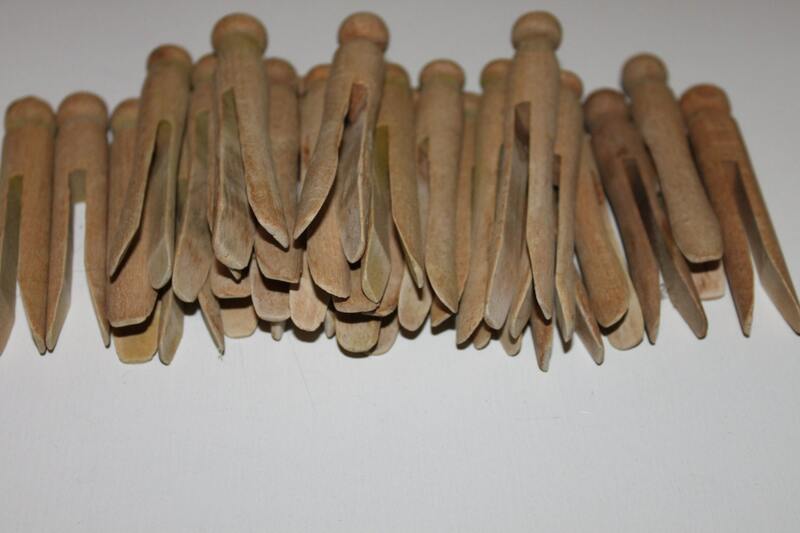 Love my clothespins. Put them in a jar in my laundry room. I had the antique cloth clothes pin holder but needed these to fill it up. Perfect fit. Thank you.